Management’s proposal was one item: withdrawal from The Newspaper Guild International Pension Fund. Under their proposal, contributions to the plan would end. Participants would still receive benefits earned to date but would not earn any additional pension. Early retirement and disability benefits would no longer be available so participants would have to wait until age 65 to begin receiving their monthly pension check. The withdrawal would not affect the Post/Guild pension that was frozen in 2012. The union’s proposal included several economic improvements, including wage, pension contribution and night differential increases; an alternative pension to replace the frozen plan; restoration of the 401(k) match; insurance premium reductions with a cap and a supplemental insurance plan. The proposal also included language to assure that people are paid for all hours worked and a change to the drug and alcohol policy, treating marijuana similar to alcohol by testing for impairment not just the presence in a sample. On Tuesday, Aug. 5, management responded to the union’s proposal, rejecting all of the economic improvements. 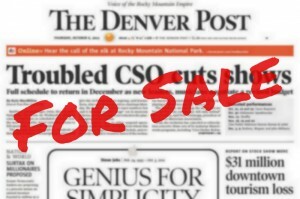 Management asserted that revenue and circulation declines continue at The Denver Post and other MNG properties so they are proposing to maintain or reduce costs at MNG papers. Management reported that they are evaluating the alternative pension and drug policy proposals. The next bargaining session is scheduled for Sept. 11.